Do not expose plastic products to excessive heat, and avoid direct sun light. For outside use employ approved materials only, or consult with our Sales staff. Different types of plastic have different scratch and breakage ratings; please consult with our Sales staff for proper material for your application. Some of our products may come with a protective masking tape attached to the sides. Please remove this masking tape as soon as possible. Do not leave products with masking tape in the sun or exposed to heat. Do not leave masking tape on the product for more than a few days, it may not come off. Please clean our plastic products with approved plastic cleaners. You may use mild soap or detergent mixed with warm water using a soft cloth. Wash away soap and dry with a soft cloth or chamois. 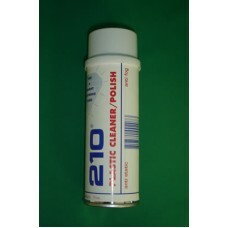 For general cleaning and polishing we recommend using 210® Cleaner/Polish line products. Any oily substance like grease, scum, or tar could be removed with hexane or kerosene. Solvent residue should be removed by washing in soapy water immediately. Acrylic products often get scratched. 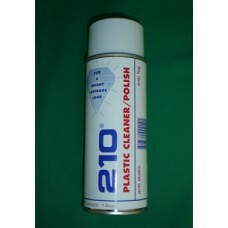 Fine scratches can be easily removed by using products like 210® Cleaner/Polish. For small to medium scratches we recommend 210® Plus Plastic Scratch Remover. For even deeper scratches it might be necessary to seek a professional assistance, and/or use of buffing wheel and special polishers. Warning: Never use any household cleansers such as window or glass cleaners, alcohol, acetone, ammonia, benzene, carbon gasoline, tetrachloride, and lacquer thinner, any scouring compounds, or any non approved chemicals. Use of any unapproved chemicals may destroy plastic products beyond repair. 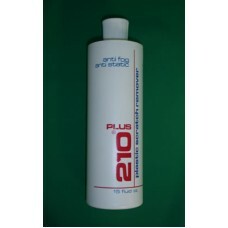 For general care we recommend 210® Cleaner/Polish. Best product on the market. 210® Plus removes marks from crayons, magic markers and paint overspray..
210-14OZ Cleaner & Polish 14 oz can With 210® line of products cleaning and polishing is quick..